Have I mentioned all this useful information from OCLC on Born-Digital content? Here is a plethora of information on how to nail your library interview from Mr. Library Dude. More astute observations from Meredith Farkas on what library users want and a creative solution she participated in at Portland State – Library DIY. And, it wouldn’t be my blog if I didn’t mention something DAM related. This week – DAM and social media from DAMNEWS. 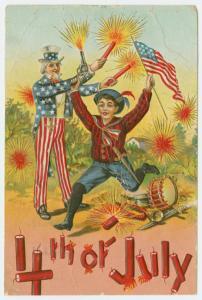 Happy 4th of July from Mod Librarian and the NYPL holiday postcard archive!